The former military ruler has been declared "proclaimed offender" by courts, including in the high treason case and the Benazir Bhutto assassination case. Islamabad: Pakistan's former dictator General (retd) Pervez Musharraf's diplomatic passport was renewed two months before its expiry as the government feared that he might not return to face the high treason case, the country's Interior Minister Ahsan Iqbal has said. A special court had recently ordered the government to arrest the Dubai-based former president and confiscate all his properties as it heard the high treason case against him for imposing emergency rule in the country in 2007. The 74-year-old military dictator's passport was to expire on March 16, but he sought an early renewal as international travel, in many cases, was not possible with a passport having less than six-month validity. 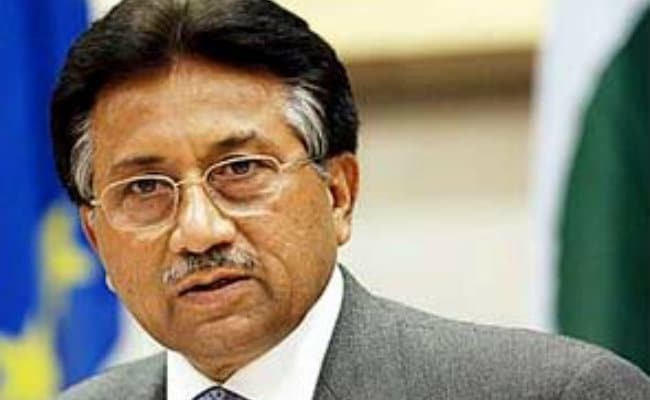 Former president General (retd) Pervez Musharraf was issued a new passport two months before the expiry of his travel document, and it was again a diplomatic passport for which he was entitled to being a former head of state, Mr Iqbal was quoted as saying by Dawn newspaper. He said that Mr Musharraf's diplomatic passport was renewed out of fear that he might use it as a pretext for not returning home to face the treason case. "He needs passport to travel back to Pakistan. He would have contended that without a passport he cannot travel and would have blamed the government for blocking his return," the Minister said. On March 16, the special court hearing the high treason case against him authorised the government to suspend his passport as well as his computerised national identity card (CNIC). The court had earlier directed the Interior Ministry to approach the Interpol for the arrest of the former president. Initially, the government was reluctant to renew his passport and also withheld his application for nearly two months but it was finally renewed from Dubai on January 5 for the next five years, the report said. According to a source in Mr Musharraf's party, the All Pakistan Muslim League (APML), the Foreign Office (FO) was holding the application but when the former president's aide-de-camp Major Shehryar "contacted someone", the process went ahead. The authorisation for the issuance of a diplomatic passport is given by the FO as per the Passport and Visa Manual 2006, the source said. The report also said that any correspondence regarding renewal of Musharraf's passport could not be traced in the FO's consular section. Musharraf's case was referred to the FO by the Pakistani consulate in Dubai seeking approval in view of the high-profile cases against him. The former military dictator had expressed willingness to return home to avoid possible suspension of his CNIC and diplomatic passport. Mr Musharraf ruled Pakistan from 1999 to 2008.